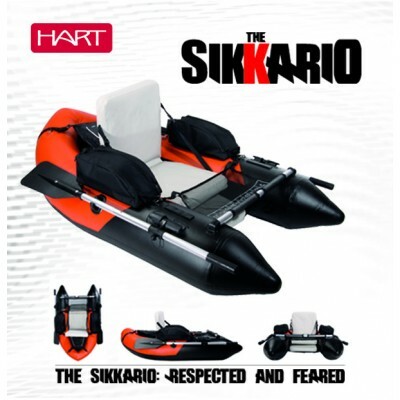 Comfortable float tube, which substantially improves its stability and maneuverability. 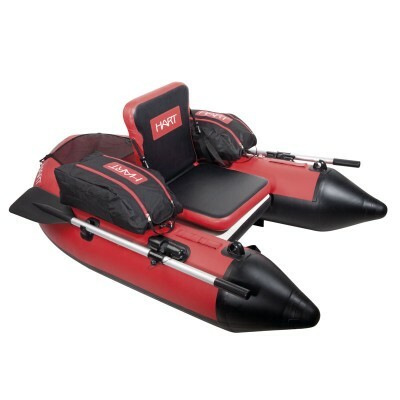 Its seat, located above the water level with adjustable backrest, makes it comfortable for all types of fishermen, being able to fish without fatigue for hours. 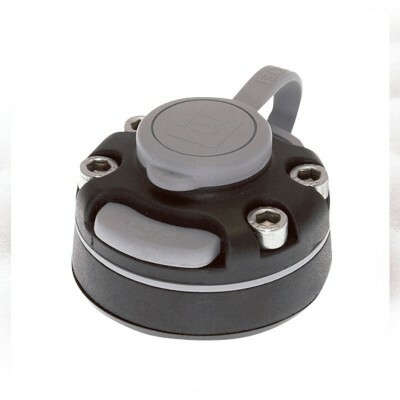 The floats of the series V are independent and are provided with safety valves. 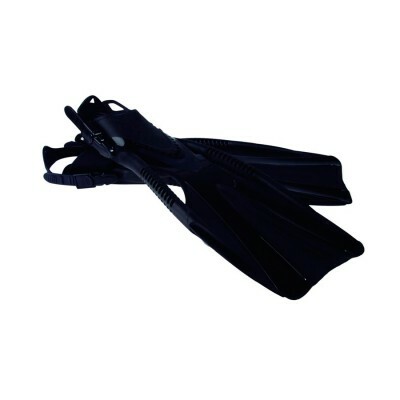 The construction material is 420 Deniers Cordura nylon, with 900 Deniers cordura reinforcements and PVC coating in the area that is in contact with the water. This layer gives it an impermeability and resistance to punctures out of series. Seat and backrest filled with polyurethane foam for comfort. It has two large side pockets to store boxes, front carpet with adjustable reception and numerous accessories rings. It is served with double-effect inflation pump and transport bag. 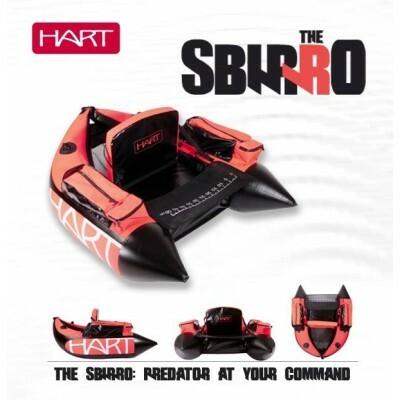 The new flagship of the Hart fleet is here. 3 Holes for angle adjustment. 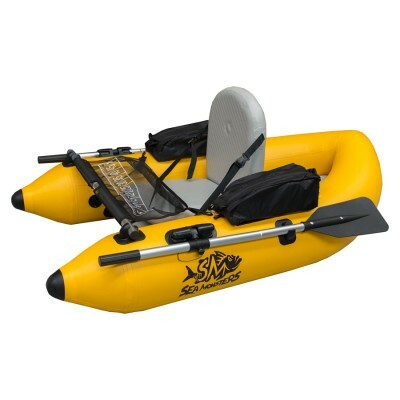 Adjustable ergonomic padded seat for kayak, 4 attachments. 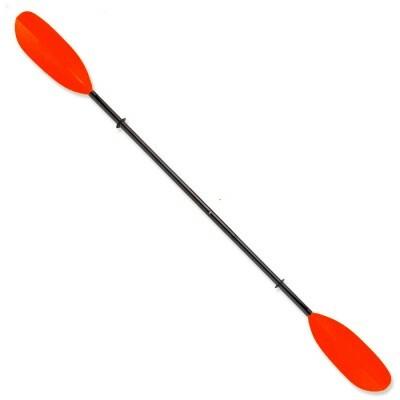 Kayaks holder for bars in the roof, corrosion resistant coating. Aluminum alloy design. 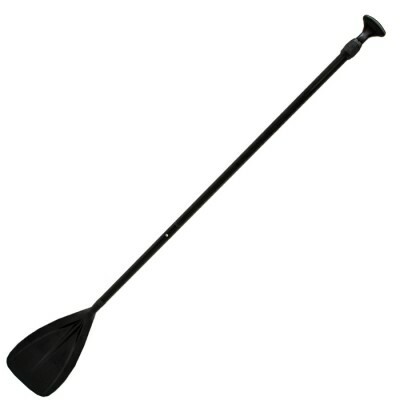 Adjustable ergonomic padded seat for kayak, 4 attachments, with cane holder on the back. 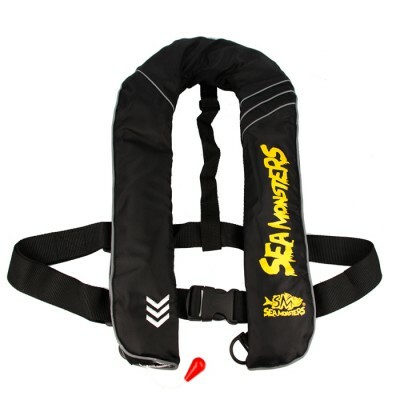 Manual lifejacket, padded and adjustable. 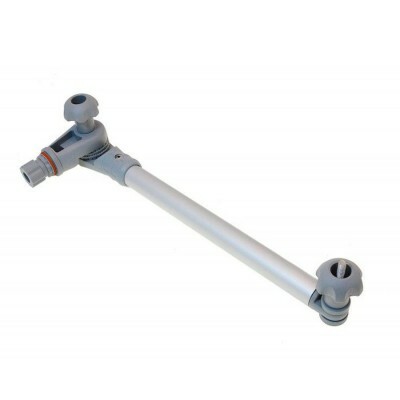 It has an inflation cylinder which is activated with a pull or manual inflation.